Time off work due to a work-related injury represents a significant cost to your organisation, not only in terms of workers’ compensation insurance premiums, but also in terms of lost time, lost productivity as well as lower worker morale and job satisfaction. The longer an injured worker is absent from the workplace, the higher the costs will be. While preventing accidents is the best way to reduce overall injury costs, implementing an effective Return-to-Work program is the best way to manage costs and improve recovery after an injury has occurred. In fact, better managing the return-to-work process after workplace injury is statistically linked with less time off work, which results in lower costs to your business and better return-to-work outcomes. To help get injured workers back to work in a safe and timely manner, enableHR has just released its Return-to-Work checklist. 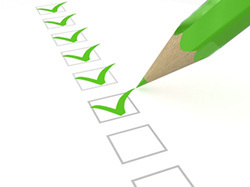 Completing the system’s Work Health & Safety (WHS) lifecycle content, the Return-to-Work checklist also compliments existing WHS content, workflows and tools within enableHR, helping you to record and manage workplace hazards, manage incidents and accidents in the workplace, and manage consultation with workers on WHS matters. The new checklist helps you to manage return-to-work cases and is designed to guide you through the important steps you should take when a worker is injured while at work. By following these steps, you will have access to critical information, example documents and templates to ensure you are meeting your legislative requirements in managing sick and injured workers back to work consistently and efficiently.